The red granite of Boulder, Colorado has been made famous by both the iconic Flatirons that make up much of the facade and the climbers who venture up the steep faces each day. 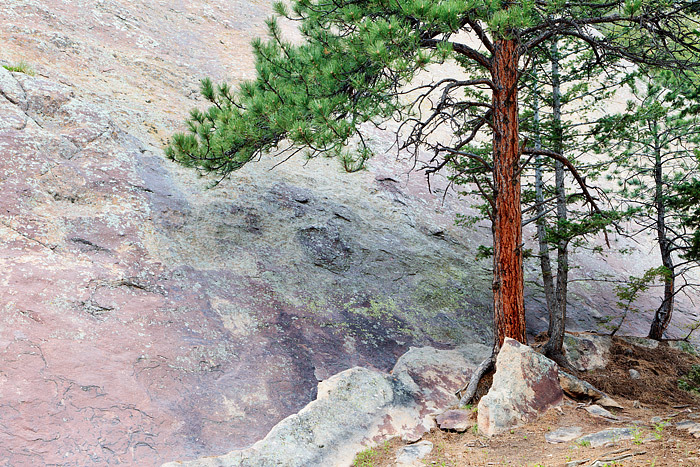 A lone Ponderosa Pine tree is framed in front of the red granite near Fern Canyon. Fern Canyon is a popular climbing and hiking locale which can be accessed through Boulder County Open Space's vast trail system. Photo © copyright by Thomas Mangan.